3 Ingredients – ricotta, honey, simple syrup (which is just sugar and water) – and guess what?? It really works!! It’s really delicious as soft serve straight out of the ice cream maker, but I like it even better after 3-6 hours in the freezer. It’ll be more solid but still creamy and scoopable. 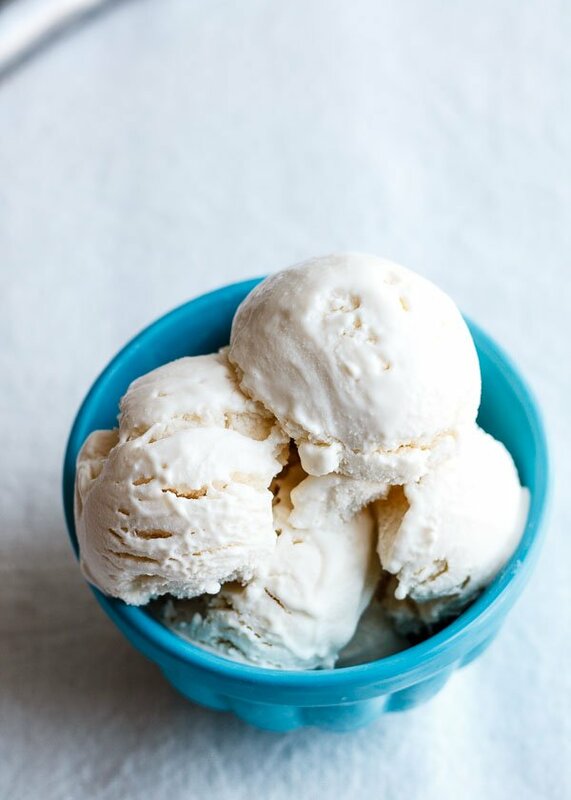 If fully frozen, let it sit on the counter for 20 minutes before scooping. If you’re making your own simple syrup, you can also infuse it with any number of things, like basil leaves or citrus peel. Just leave these in the simple syrup while it chills, then fish them out before making the ice cream. Bring 3/4 cup water to a boil in a small pot. Add sugar, a tiny pinch of salt, and the basil leaves or citrus peel (if using) to the boiling water. Cover and remove from heat. Let it cool on the stovetop, stir to dissolve the sugar and salt, then transfer to the refrigerator to chill completely. Once chilled, fish out the basil leaves or citrus peel and discard. Combine the ricotta and syrup in a deep mixing bowl. Blend with an immersion blender until smooth. 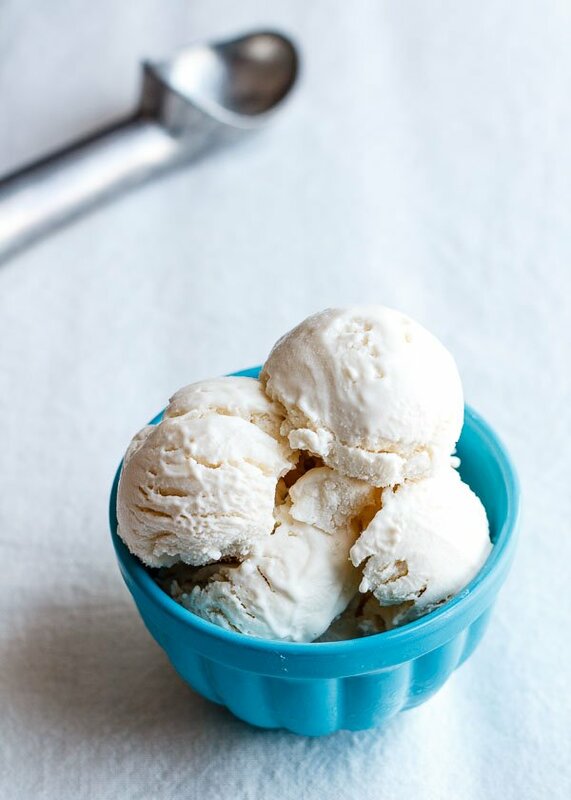 Immediately churn the mixture in your ice cream maker or refrigerate until ready to churn. Eat as soft serve or freeze. For me, the best consistency is around the 3-6 hour mark. After that, you will need to defrost at room temperature for 20 minutes before scooping. This recipe comes from Fancy Desserts, winner of Food52's 2015 Piglet Tournament. 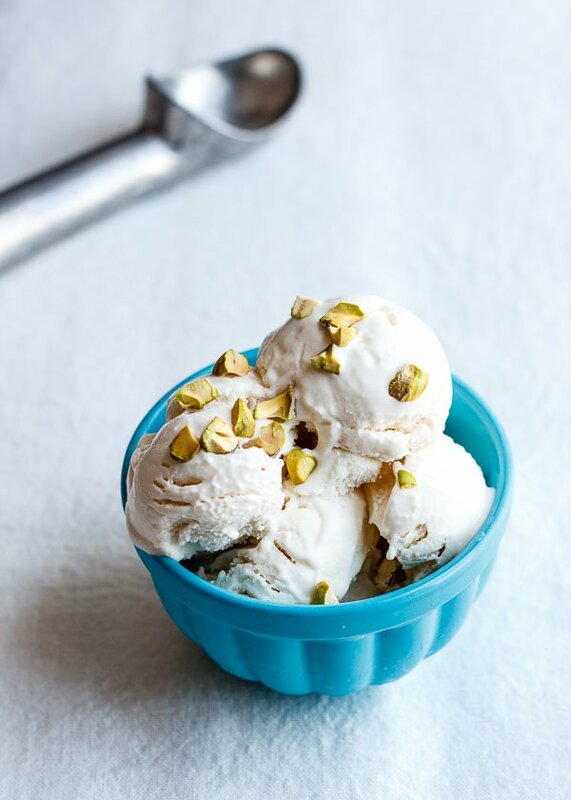 I halved the original recipe and infused the simple syrup with basil leaves, which makes the gelato extra fresh. Those simple pistachios make a beautiful garnish. Looks perfectly creamy and delish!